It was one of those days when MET Institute of Mass Media students walked into the campus with track pants and t-shirts. 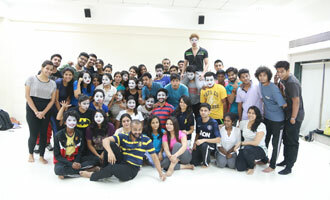 The workshop on Mime expected them to be active participants. Mime as a theatrical medium or as a performance art, involves the acting out of a story through body motions and facial expressions, without use of speech.